Eurocom is launching the complete line of Samsung 850 Pro Solid State storage drives in line of high performance, fully upgradeable, configurable Mobile Workstations. All Eurocom Mobile Workstations are fully customizable and configurable allowing customer to choose exactly the components they require, the options are further bolstered by the inclusion of the Samsung SSD 850 Pro. “The Samsung SSD 850 Pro has great performance, ultra-high endurance, as well as encryption and RAID capability. The perfect component for Eurocoms professional customers who require and demand the best.” Mark Bialic, Eurocom President. Eurocom notebooks are highly configurable and customizable, enabling customers to choose the exact type of storage medium and capacity they need combined with RAID 0,1,5,10 support in select notebooks. The Samsung SSD 850 Pro stack 32 cell layers on top of one another to fit todays small form factors, while also boosting performance using Samsung’s new 3D vertical NAND. Eurocom Mobile Workstations are built to last, as are Samsung SSD 850 Pro. They are built to handle 120 Terabyte Written which comes to 40 GB daily read/write workload for over a 10 year period, coupled with a top level, 10 yr warranty from Samsung. Coupled with several security features from Eurocom Mobile Workstations such as Trusted Platform Modules, Fingerprint readers and Lock Ports, the Samsung SSD 850 Pro support SED technology and includes AES 256 bit hardware based, full disk encryption engine to secure your intellectual property without performance degradation. The Samsung SSD 850 Pro comes in 128 GB, 256 GB, 512 GB and 1 TB capacities allowing customers to pick and choose which combination of storage mediums works best while also allowing power users to equip their select Eurocom Mobile Workstation with 4 TB of RAIDable storage. Supporting the most powerful mobile NVIDIA Quadro professional graphics solutions, Eurocom Mobile Workstations ensure they are able to run the most demanding engineering and design software with ease, while on the go. 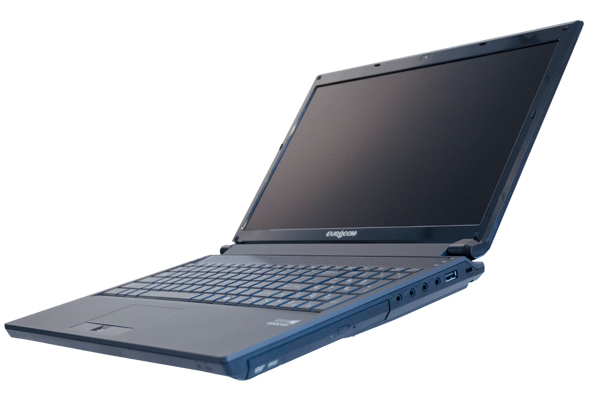 All Eurocom Mobile Workstations support Intel Core i7 Processors Extreme or 12 core Intel Xeon Desktop Processors and are able to run high end professional applications and process large amounts of data with up to 32 GB DDR3-1600 memory.